Rostek has several different davit designs which fit to different functional needs. There are both steel and aluminium davits. Davit systems can be used together with short Rostek BMU cradles as well as long Modular Suspended Platforms. Experienced Rostek engineers will provide you with the best solution for your building. Rostek has experience in different countries around the world and knowledge of the local codes and standards that davits require. Rostek has two types of Davits. The bottom rotated (BR) and the top rotated (TR). There are different uses for davits, therefore it is important to have different models. Rostek bottom rotated davit is rotated from the roof top, whereas the top rotated version is mainly rotated from the suspended platform. 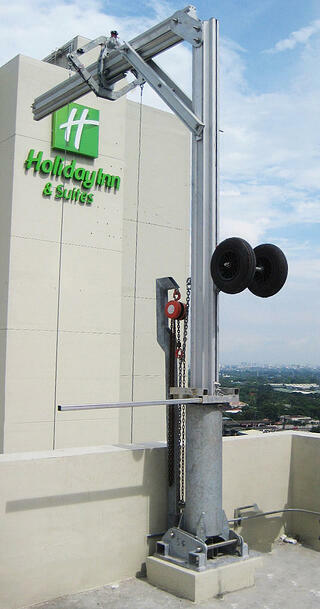 A davit system is an economic and simple solution for simple facade access. 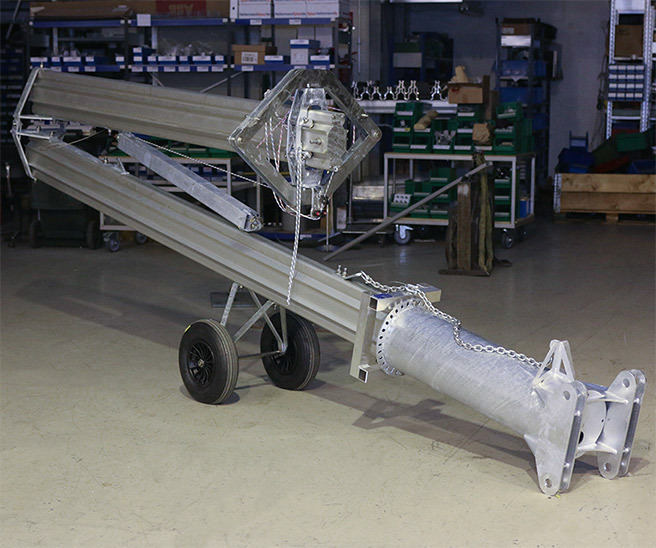 Rostek davits consists of two primary components: the davit arm and the base (also called pedestal). 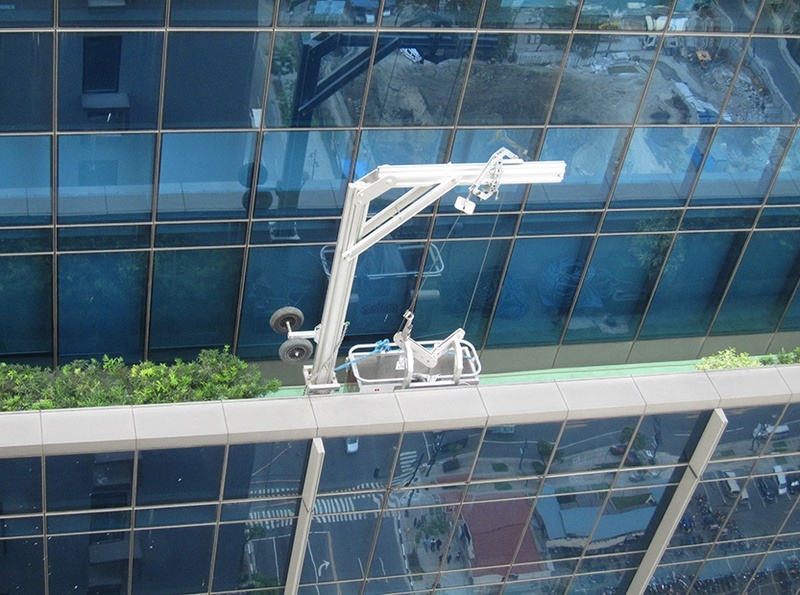 The davit arm is a portable part which can be stored to any location when not in use and the base is a permanent part in the building where the davit arm is connected to.